What's It Really Like to Be a WordPress Developer? 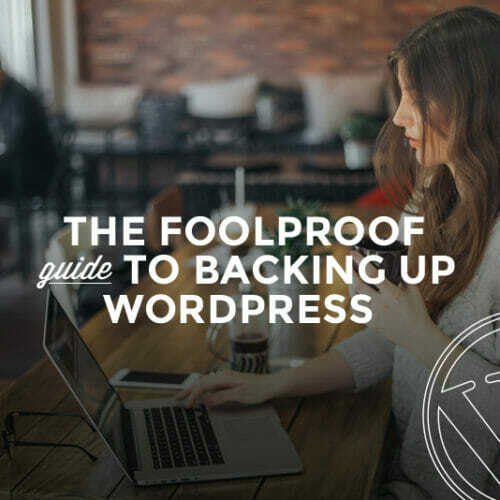 Even if you’re brand new to tech you may have heard of WordPress. And if you haven’t heard of it you’ve probably visited websites that are powered by it. WordPress is a content management system (CMS)—a piece of software that lets you easily write, edit, and publish content on the web. In the world of CMS programs, WordPress stands tall among the pack, to the point where 50-60% of websites that are built with a CMS use WordPress. This means WordPress developers are in high demand. 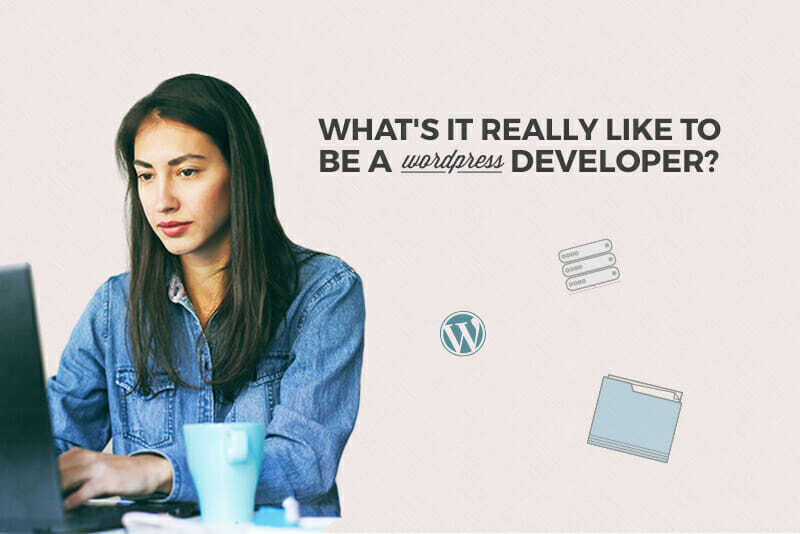 As you look toward a new career in tech—particularly one that allows you to freelance, control your own schedule, and work remotely—the path of a WordPress developer might be right for you. Which is why I’d like you to meet Caro Griffin, Director of Operations for Skillcrush AND a freelance WordPress developer. 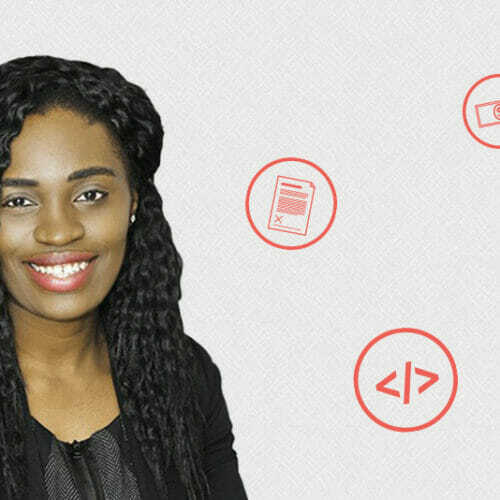 Caro sat down with me via Google Hangouts the other day and talked about how she got into tech and WordPress, what it’s like to freelance, and all the different ways her WordPress skills opened career doors for her on her own tech journey. Get ready to be inspired directly by someone who’s been in the WordPress game herself! So how did you get started in tech? I was really obsessed with Gilmore Girls as a teenager and I wanted to build a Gilmore Girls fansite, so I taught myself how to code with the help of blogs and the other meager resources out there at the time. That and some strangers on the internet who took pity on me and helped me out! So I’m a self-taught HTML and CSS coder and I was able to use those skills to put myself through art school. Then after art school I was a teaching artist for awhile. I taught web development to teenagers in Chicago in an after-school program and through that I just kind of stumbled into tech. I never really thought tech would become my primary thing. It was always just something I did on the side that I saw as a way of getting me where I wanted to be. But then eventually I realized, oh wait, maybe this is where I want to be! And that’s how I became a freelancer. Freelancing as a WordPress developer was most of my experience in tech until I started working for Skillcrush. My specialty was working for arts organizations and nonprofits here in Chicago. How did you end up specializing in WordPress? When I was starting out as a freelancer I thought, “Who do I know that I can reach out to and try to find my first set of clients?” With my background in the arts, that’s where I had connections, so it was a lot of broke artists who needed cheap portfolios. Once I started working with them I was able to leverage those projects and relationships into higher paying projects for the arts organizations those artists worked at. It was basically like, “I’ll build your portfolio really cheap and in exchange for this small paycheck will you also write me a testimonial and can you introduce me to your boss?” Because nonprofits historically have really horrible websites and they always need new ones. So I kind of stumbled into that niche and I really enjoyed it. It allowed me to stay involved in the arts field and WordPress is a really good fit because artists and nonprofits don’t typically have full IT teams or technical staff. WordPress works great because they can pay you a one-time fee to build a website, set it up for them, and teach them how to use it. Then they can more or less maintain it and make updates pretty easily without needing to have a dedicated developer on staff. Also, the more I worked with WordPress, the more I really loved the community around it and how accessible it was. 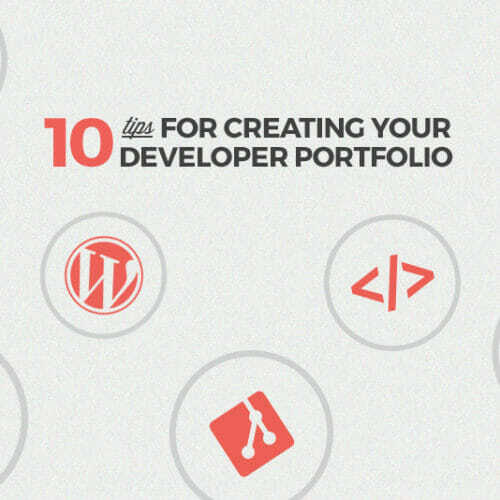 How did you develop your WordPress skills specifically? Mainly just through doing it. I took on clients and forced myself to be comfortable saying, “I’ve never done that before but I’ll figure it out.” Telling clients, “I’m not exactly sure how that will work but let me do some research and get back to you,” and being able to confidently own that is half the battle. But I mainly taught myself. One of the best things about WordPress for beginners is that you can Google your way out of most problems and there’s a really supportive open source community of forums, blog posts, tutorials, and now online classes. There are a lot of resources that weren’t there when I started. It makes it a lot easier to get a jumpstart and to more confidently be able to figure it out as you go. What other kind of work have you done as a WordPress Developer? Well, so after I started with portfolio websites for artists and focusing on nonprofits and art organizations, I did some small creative businesses, too. My business was built entirely on word of mouth, so a friend-of-a-friend introduced me to someone who needed a website for a film production company and once I did that, that client knew someone who also owned a film production company and needed a website, so whenever I’d build something once, I usually ended up building 2 or 3 similar things. After a couple years of freelancing I went back to work at my alma mater as a freelancer. I helped them create an online version of their new student orientation because it was cost prohibitive for out-of-state students to come view the campus, then come back for orientation, and then come back to move in, so this allowed students to attend the orientation online. I do still freelance sometimes. I’m making myself cut back quite a bit due to my schedule. I try not to take on more than one project at a time, so it’s definitely a lot less, but right now I’m building a website for a traveling gallery exhibition. It helps me keep a foot in the WordPress world, because tech moves so fast that still doing some freelancing helps me better serve students. When you’re doing freelance WordPress developer work, what does a typical work day look like? It varies a lot because you can make your day look like whatever you want it to, to some degree. When I was freelancing I still taught a couple of days a week, so I would usually sleep in till 10 or 11—I’m not a morning person—and that’s when my day would get started. I’d try to frontload client’s admin stuff, so answering emails and things before lunch. I’d try to get all of those things done, like if I was working on a proposal or needed to invoice people or answering client emails. Then after lunch I’d work on actual project development, but then sometimes I’d have meeting days. It’s hard to do development piecemeal…you can’t really do 30 minutes here and 30 minutes there, so I’d try to set it up where if I knew I had to meet with a couple clients that week I’d try to do them all on Monday and Wednesday, and then Tuesday, Thursday, and Friday would be days where I could spend 2-3 hours doing coding. So that’s typically how I broke it up: mornings for admin and afternoons for meetings and development, and then I taught in the evenings 3 days a week. I’d usually kind of mix it up, so in the morning I’d work from home and then in the afternoon I’d work somewhere else most of the time to get out of the house. How does your previous work as a developer relate to work you’ve done as an instructor and now Director of Operations? Are there connections? Absolutely! Only half of my job as a WordPress instructor was actually teaching WordPress. There are 3 classes in the Skillcrush WordPress Blueprint and the third class has very little code in it. It’s all about freelancing and how to find clients, and work with clients, and build a good relationship with them, and invoice them, and how to scope a project…all those very practical business sides of things. Being a freelancer and working at an agency and having different job experiences really helps me better prepare students for what that’s like, because I think when I graduated college I was somewhat comfortable with code…I was probably in that stage of “unconscious incompetence.” But the most stressful thing for me when I started freelancing wasn’t coding, it was the business side. What goes on an invoice? How do I do my taxes? That stuff. So being able to help students with that is really rewarding and I love being able to save them the pain that I went through, so I think that’s been so crucial to being a good instructor. 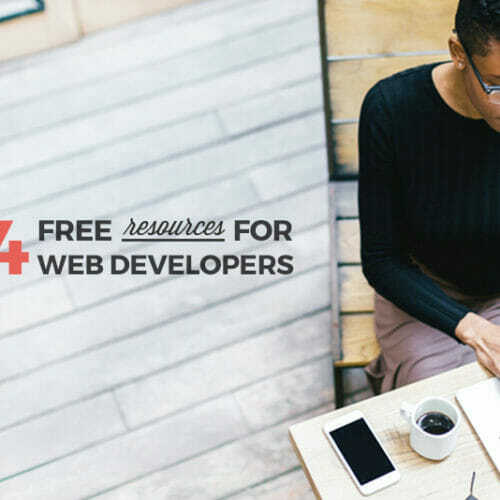 I also think it’s what really sets Skillcrush apart from some of the other learn-to-code-WordPress places because you have that person you can turn to when you have those questions or when a client asks you something and you don’t know how to answer them. There’s an instructor there you can ask and get advice from. And even if I didn’t work in a startup that taught people to code, I think being able to code would still make my job a lot easier. I sometimes see marketing team members get blocked by the dev team, because they need the dev team to do something really small, and I can just go in and do it. I can just edit the template. I can just resize it in Photoshop or whatever. With all of your experience, what is your key advice for aspiring WordPress students? Get paid to learn! You’re never going to feel ready, so go ahead and start today. And remember to feel comfortable telling clients, “I’ve never done that before, but I’ll do some research and get back to you.” I feel like if you have that line in your pocket ready to go, you’re fine. I also feel like there’s a mind shift that needs to happen where you stop thinking you’ll reach a point where you’ve learned all the things and you’re going to feel confident and you’re going to know how to do almost everything. You’re never going to get to that point. That’s what development is! It’s not about what you know, it’s about what you can figure out. So as soon as you know your way around installing WordPress, just take on a client! That’s the best way to learn. And that’s how we push students in the third month of our Blueprint, to just go get a client, even if it’s a friend or a family member, just to get started. Good post. I learn something totally new and challenging on blogs I stumbleupon every day. It will always be interesting to read through content from other writers and practice something from other web sites. seize your rss as I can not to find your email subscription hyperlink or newsletter service. Do you have any? Thanks a lot for sharing this with all people you actually realize what you’re speaking approximately! Bookmarked. Kindly additionally seek advice from my site =). We could have a link trade contract between us! I have been coming to your website for 1 year now. I find it well-researched. Keep it up! Hey very nice site!! Man .. Beautiful .. Amazing .. I’ll bookmark your blog and take the feeds also…I’m happy to find numerous useful information here in the post, we need develop more strategies in this regard, thanks for sharing. . . . . . Thank you! This is definitely an great website! The impact zone in WTC1 was floors 93 to 99, and stairwells from 100 110 were blocked. Hundreds of volunteers are on the phones at the base, answering questions from eager kids who want to know where Santa is on his Christmas Eve travels. There a pick/ban phase and things change dynamically.